An extensive Go-flavored look at the art of finding the best match between the languages an app supports and those the user prefers and how /x/text/language helps. Lets you write your API documentation in Markdown, and then execute it as an automated test. It’s written in Go. A 50 minute talk in which the CTO of Iron.io looks at how performance, memory use, concurrency, reliability and ease of deployment are key to the Go experience. 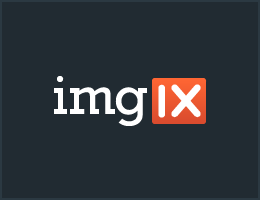 Resize, crop, and process images at scale and in real-time with imgix. Get up to speed quickly with the community-built Go package. Takes a go get URL, scans the Go code in the repo, and reports on things like typos, complexity, presence of a license, etc. How Is The Demand for Go Jobs? A Reddit discussion around the Go job market - people’s experiences are quite mixed. A reasonably entry-level focus on the building blocks of concurrency in Go, channels and goroutines. Creates a mock server and passes the URL to the function to be tested and then collects all the requests that the server received. Sign up for the free webinar hosted by Codeship co-founders Manuel Weiss and Florian Motlik here.